Tesla had a Grand Opening party at the Gigafactory in Reno, Nevada on July 29 2016, inviting mainly Tesla Referral Program Winners and their guests to tour the facilities from 6pm for 3 hours and get a good sense of where the factory is headed in the future. During the tour, guests were guided throughout the building where they had the chance to see how Tesla's custom made machines process and produce Lithium-Ion cells and packs from A to Z at the factory, which in turn are destined for Tesla's electric vehicles and Powerwalls. The factory tour was guided by Tesla teams responsible for designing and installing the machines in the facilities. Guests got a walk through of the process of refining raw materials that end up becoming the battery cells. It all starts at the coating and drying section where a solvent is added to aluminum foil sheets in an oven to create active battery layers on every side. Then a hydraulic press compresses the coil sheets, bringing down the thickness of the electrode layer to roughly the diameter of a human hair without disrupting the flow of the Lithium-Ion particles through it. Those coils get transported on an AGV (Automated Guided Vehicle) to another section of the factory where they are "jelly rolled" into a cylindrical cells filled with electrolyte and free of any gases. Finally, the cells end up in the Cell Aging section, there they get their first charge and discharge where chemical reactions occur to create the desired micro-structure of the components and the contact between them in order for the batteries to deliver their full capacity. That process is called Cell Formation. Once these cells are finalized, they are gathered in trays and moved to the assembly room where Elon's machines that build machines demonstrate how battery packs are assembled. Guests were then escorted to the end of the assembly line where they saw samples of the Tesla's battery packs for Powerwalls, Powerpacks and Tesla vehicles. At the showroom, guests got a glimpse of a finished exterior design of the Model 3 in red with tinted glass, blacking out all the instrument cluster, leaving it to be revealed in the second part of the vehicle's unveiling as mentioned by Elon Musk. By 9pm, Elon Musk and JB Straubel took to the stage to introduce the Gigafactory. Musk laid out why the factory matters to the world. It matters if it happens sooner or later, it matters that it happens at scale. The Gigafactory is about being able to make enough electric cars, enough stationary battery packs, that it actually moves the needle from a global carbon production perspective. It has to be big because the world is big. That's why. In order to make half a million cars per year by 2018, the Gigafactory needs to produce more than the output of Lithium-Ion battery cells currently manufactured in the world, roughly 50 GWh. Currently the Gigafactory consists of 14% of what the completed factory would be, 6 million square feet of ground area. It will be the biggest in the world and second biggest in volume to Boeing's factory in Washington state. It will have 7 other sections built by 2020 to reach an output of 150 GWh, enough to make 1,500,000 battery packs for cars per year. 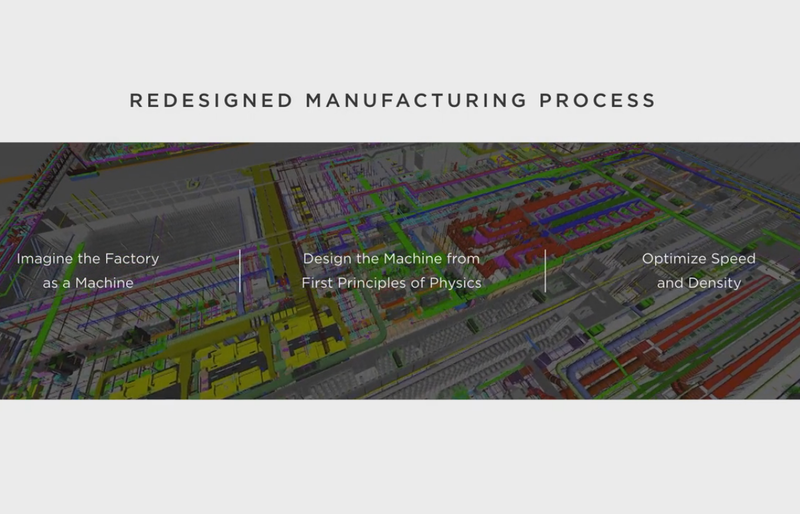 Ultimately, Gigafactory 2.0 and beyond will integrate car manufacturing under the same roof. This means the Fremont factory will eventually be decommissioned or re-purposed. 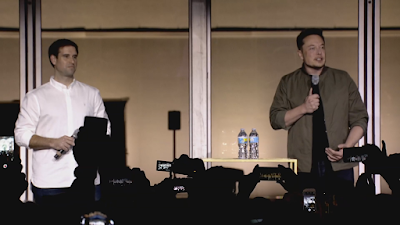 Elon Musk likened the factory to an advanced computer processor where speed and density are the pillars of its performance. It was designed from the ground up to optimize productivity - from piping to equipment and machinery - with minimum wasted space. 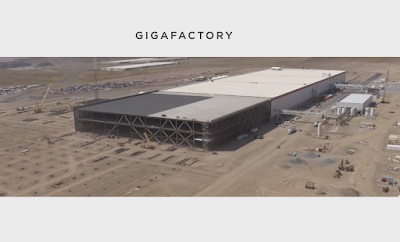 The Gigafactory will be one of the first factories to transform raw materials into battery packs under one roof. 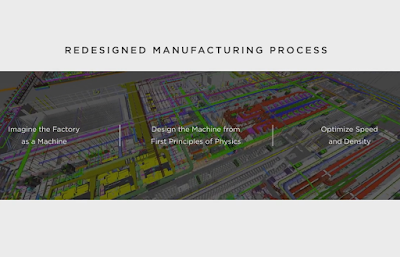 Historically, this process required materials and products to move between multiple factories around the world. This will minimize the cost of processing raw materials and eventually the cost to produce the final battery packs.